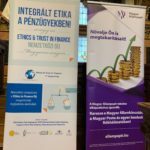 Last week, on Friday 8 February 2019, I was invited to present the Global Prize “Ethics & Trust in Finance” at a conference in Budapest dedicated to the topic of the prize and organized by the ErMe business network. Guests included Prof. Paul Dembinski (Observatoire de la finance), Eszter Elemer (Impact Ventures), Pierre de Lauzun (Association française des marches financiers), Fogarasi Norbert (Morgan Stanley), Dr. Bernd Villhauer (Welt-ethos Institute), Dr. Kovacs Levente, Dr. Bager Gusztav (Central Bank of Hungary) and Brett Scott (former Prize winner). The speakers tackled many facets of the issue of ethics in finance, highlighting both its historical scope, from the Scholastics in the Middle Ages to digital finance, and geographic scope, finance (and related ethical issues) having become truly global during the last decades. As pointed out by Paul Dembinski in his keynote address, the quest for efficiency has become the ultimate goal assigned to the financial system, justifying the continuing financialization of our economies. This dynamic has been accompanied by a revolution in social morality which considers that “greed is good” because it is efficient. However, ten years after the 2008 financial crisis and despite the reforms undertaken, this paradigm seems unable to restore public confidence, all the more so since financial misconduct continues to develop, as illustrated by the big fines inflicted to corporate actors. While technological innovation further increases the efficiency potential of the financial system, it also creates new ethical problems. 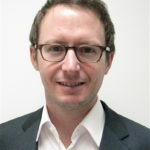 As stressed by Brett Scott, the digital format has the potential to accentuate existing ethical flaws within mainstream finance and introduce new ethical problems that could potentially harm our individual freedoms. Another big issue, emphasized by Fogarasi Norbert, is automation and artificial intelligence that create new risks and may have unintended (negative) consequences for employees. In the face of these new dangers, we may wonder whether the paradigm of efficiency is not incompatible with the more ethical, resilient and sustainable financial system we urgently need to meet the pressing challenges humanity is facing. Is it necessary to give up some efficiency to harmonize finance with society? As Pierre de Lauzun pointed out, we have to “re-embed” finance in society and in particular in an ethical conception of its role. Here, the thinking of Hans Küng provides useful insights on how to “reinvent finance” along ethical lines, as emphasized by Bernd Villhauer. Several other interventions have shown that an ethical vision of finance can be implemented in various ways and at several levels, individual, institutional and systemic. Shareholders and fund managers are in the front line. They should not only comply with existing regulations, which is often insufficient, but go further by adopting practices that raise ethical standards in the financial industry. Financial institutions have a key role to play in building a new corporate culture to meet new ethical challenges. They may implement systems of integrity management to fight against criminal activities, as pointed out by Bager Gusztav. At the educational level, universities and business schools should encourage critical thinking about the assumptions of market efficiency and optimal resource allocation and propose new models of sustainable economic development instead. 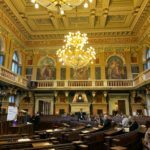 At the global level, international institutions, governments and business should work together more actively to elaborate and implement rules that support the efforts of institutions and individuals. What is the contribution of the Global Prize “Ethics & Trust in Finance” to these efforts? By raising awareness among young people about ethical issues in finance, the Prize can help bring about the cultural shift needed to make things move forward. 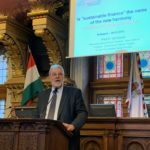 From this point of view, a Hungarian edition of the Prize would be most welcome, since, as the saying goes, it is the small streams that make the big rivers.